Our coasts separate us by miles and dissimilarities; geographically, politically (correctness and not), tastes, accents, and deep traditions. The West Coast - slugs, pop, red woods, micro beers, the stars, and the Space Needle. The East Coast - Philly cheesesteak, soda, gators, Statue of Liberty, the Kennedy's and crawfish. America is bold, often brash, vast, diverse, proud and free. 50 states, 3.79 sq. million miles, 310 + million people, and the world's oldest surviving federation. This is my America, America of the 50's. My home that shaped, formed, influenced, instilled the fear of God in me yet made me feel safe, America. My education in growing up was blessed with roller skates with a key, a piano, baton, halter-necks, and a clarinet. Water ski's, tee-pee's, fishing, Indian reservations, barns, hay, Bubble Up and Red Vines. Sparklers, campfires, smores, bathing caps and bible school. 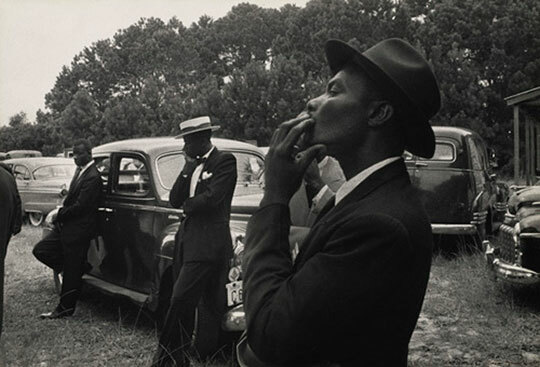 I invite you to take one more look at America through the eyes of one of our world's most influential photographers of the last fifty years. 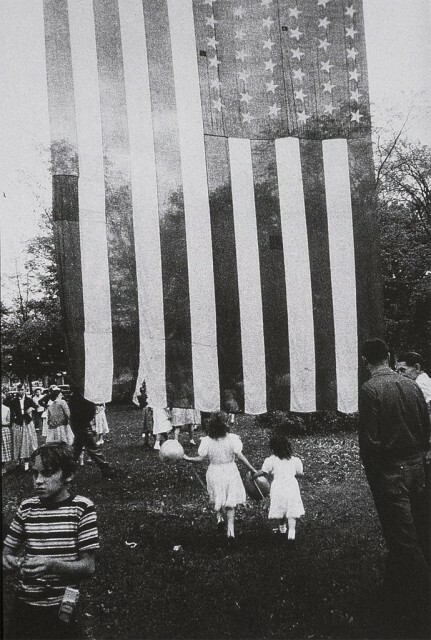 In 1954, one Swiss-born photographer by the name of Robert Frank applied for a Guggenheim fellowship proposing to create an "observation and record of what one naturalized American finds to see in the United States." With grant accepted, in June of 1955 Frank purchased a used Ford in New York, and set out to discover America pointing his coupe towards Detroit, Michigan. "I was absolutely free just to turn left or turn right without knowing what I would find." 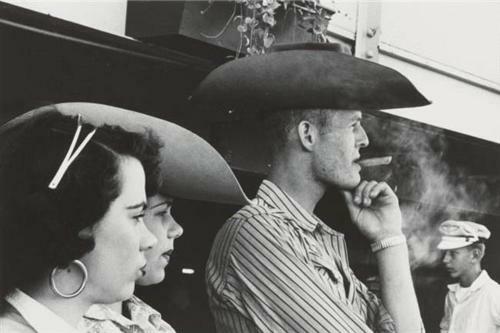 Robert Frank rode into Butte, Montana in May of 1956. Butte a town not known for it's beauty as much as branded as a mining town and the birthplace of famous daredevil Evil Knievel. "Not a human in sight, though the imprint of human activity could hardly be more pronounced: a row of receding roofs and a line of cars on a cloth-gray street, at the end of which, in softer, penciled tones, come the disfigured slopes of a copper mine", describes the New Yorker's Anthony Lane of Frank's first impressions of Butte. "Drawing the eye, toward the top, is a plume of bright smoke, and, framing the whole design, as translucent as a bridal veil, are two thin patches of drape, left and right: “View from Hotel Window,” the title reads, and we realize that here is our human after all. 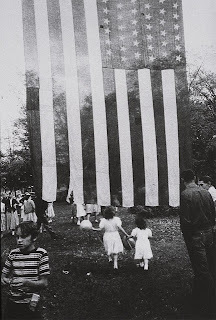 We are sharing the gaze not just of Robert Frank but of every traveler who has ever woken in an unfamiliar town, moved blearily to the light, and shivered at the depths of his unwelcome". To avoid attracting attention Frank learnt to shoot pictures from his hip or with the camera peeking out of his jacket. It was a technique that made him feel more like a stalker than a spy. 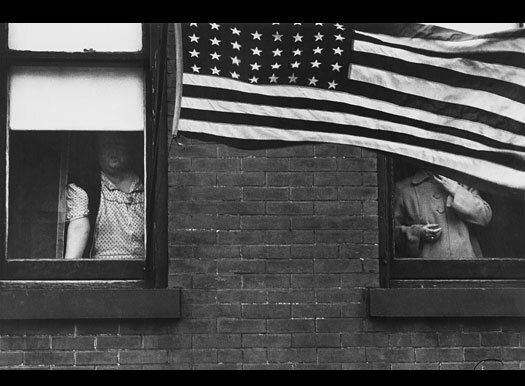 "The question to be asked of Robert Frank was whether he and his photographs, with their cool and color-free stares, had by design set out to disturb the peace," writes Anthony Lane. "The cops certainly thought so in McGehee, Arkansas. On November 7, 1955, two patrol cars stopped him on U.S. 65. They checked his registration and his luggage, then drove him to the city jail and locked him up." 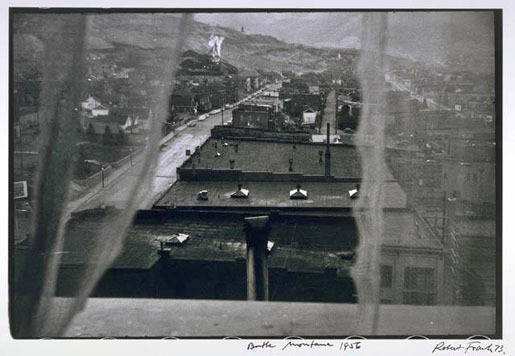 Frank, writing two days later to his friend and mentor Walker Evans, takes up the story: “That was 12:30 P.M. I did ask, if I could have some coffee (I had nothing to eat since 6 AM that day) but the answer was that if I would not be quiet they would teach me how to be quiet.” The patrolmen didn’t like the look of this guy, or the sound of him, or the fifth of Hennessy they found in his glove compartment (“Foreign whiskey,” Frank wrote). As per the Arkansas State Police arrest report dated Dec. 19, 19855, as written by one Lt. R.E. Brown, "After returning from (city of) Dermott, I questioned this subject. He was very uncooperative and had a tendency to be “smart-elecky” in answering questions. Present during the questioning was Trooper Buren Jackson and Officer Ernest Crook of the McGehee Police Department." "This officer investigated this subject due to the man’s appearance, the fact that he was a foreigner and had in his possession cameras and felt that the subject should be checked out as we are continually being advised to watch out for any persons illegally in this country possibly in the imply of some unfriendly foreign power and the possibility of Communist affiliations," respectfully concludes Lt. Brown. The Americans showed a different America than the wholesome, non-confrontational photo essays offered in some popular magazines. Frank's subjects weren't necessarily living the American dream of the 1950s: They were factory workers in Detroit, transvestites in New York, black passengers on a segregated trolley in New Orleans. Sullen Indians drinking red whiskey, smokestacks and the open pit of a mine, rallies and charity balls. The land of the free appeared dank and airless, dirty and superficial. 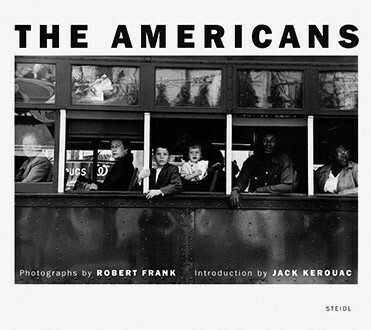 When the book was published in the United States 1955, The Americans was actually vilified. "Popular Photography asked a number of writers to critique the book and almost all of them were very negative," states National Gallery of Art's curator, Sarah Greenough. "It was described as a sad poem by a very sick person." "We live in a different world", writes Michael Shelden from the Telegraph U.K. "used to being observed by hidden lenses. We are better at posing, even when surprised. We know how to assume a good blank look and hold it. The strange faces in Frank's book belong to a lost time when people were easier to catch in moments that were truly candid. Nobody looks surprised in his shots. He never gave them enough time for that". After The Americans, Frank - tired of 'stalking, observing, then turning away with my camera' - retreated from his unconventional style of photography to make independent films. He must have thought he was riding the wave of the future. But it now seems clear that his most notible work was that which was accomplished in the 1950's. "When people look at my pictures I want them to feel the way they do when they want to read a line of a poem twice." 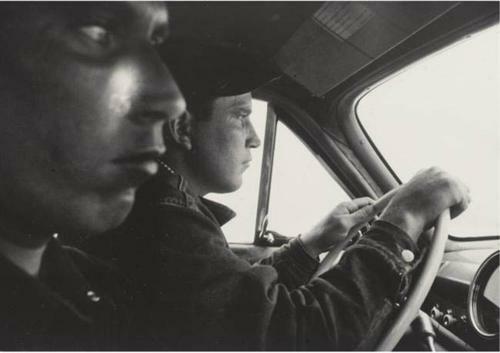 Robert Frank, Life (26 November 1951). Happy 4th of July to all my fellow countrymen and women. and God bless you, too, Ms. Deb. amazing post!! 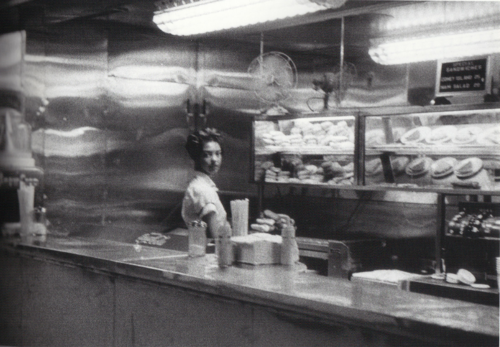 love every inch of this post on robert frank's work. you are such a dear to celebrate our country and our fellow countrymen (and women!) like you do. God, bless us every one ... awesomeness. Fascinating story --- I wonder if one travels today like Mr Frank through this magnificent country if they would experience some of the same situations? just musing? Or has it been replaced with harsher realities? Keep the peace and freedom alive in our daily prayers & hearts toward one another. Awesomeness, indeed! I have not seen Frank's photography before. Sobering... powerful, and what amazing insight to look through this lense at this moment. An incredible post... I will revisit. Big hugs on this 4th of July!! Brilliant. As always, a fascinating post. Amazing post!! 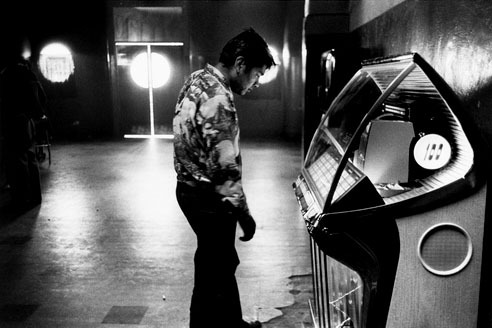 love every inch of this post on Robert frank's work. Very interesting to see America through his lens. We love Frank's quote about reading the line of a poem twice. A brilliant post DT. Thank you! What an amazing post and a great selection of pictures. I always enjoy coming here. Hope you had a fantastic 4th daaaaaahling. From your American friend across the pond. Deb - what a truly incredible post about someone I was not familiar with - and I love Walker Evans and many of the photographers from this time. He truly captured the era and so did you. My proverbial hat is off!! Incredible post. I read every word as if it was my last....thanks. Fascinating post, Deb. I love the rawness and honesty of these pictures. They show people's real emotions in real situations, which is rare. A great post, Deb; I got immersed in the photos and saddened by the commentary. How right you are to reflect on and evaluate your America with its fleeting facets and wonders and tangle of stories before you leave it. Fascinating. My goodness we have a lot in common, roller skates with a key, clarinet, Bible school, halter tops (back then), etc. I enjoyed reading about this photographer and loved his quote at the end. Deb, I think this is one of the best posts I have ever read in the blogosphere. I love the message, I love the words, I love the photography and I love that I cried along the way. So interesting too that I just wrote a note to another blogging friend who loves photography. I mentioned my two week road trip with my daughter and wondered what to take away in photographs. I am thinking of those bits and pieces that are 'America' to me. shooting from the hip indeed. my favorite image is 'chicago'. this was so touching....completely transported me out of the noisy coffee house from where i punch these keys. a welcome, peaceful, beautiful reprieve....the post...and you. I am rendered speechless, wordless, by both the amazing photos and the quotes you have woven it together with. Thanks for the fabulous reminder of what we have to celebrate! Happy Independence Day! Beautiful post, Deb. Frank was brilliant, wasn't he? The 50's were my era too...I was married and had one child during the 50's. 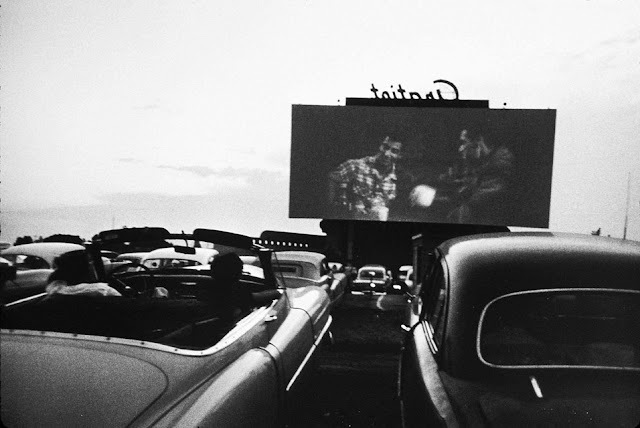 So much was familiar as I remember well drive-in movies, our favorite form of entertainment as a teenager. Frank certainly would be shocked to see Detroit now, wouldn't he? I lived in that area and it saddens me to see what's happened. his is a beautiful post! Thank you for showing Frank's work and sharing America in this raw and truthful way. I haope that you had a great 4th. 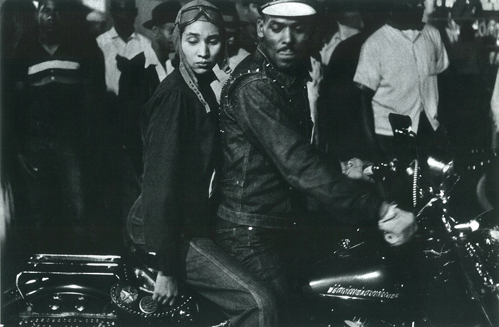 robert frank's photography is amazing. total americana all the way. the good, the bad, and the ugly. he is one of the best. Loved this Deb...and it's funny because I've been focusing on the America of the 50's for summer camps this year, the 'Mayberry' version...so it fascinated me to visit you and take a look at the other side...the more real side, not the Life Magazine side. 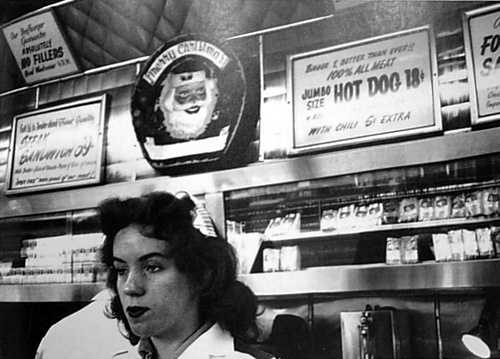 I loved the Hollywood waitress image for some reason...her expression in so mysterious, blank and thoughtful all at the same time (or maybe she just couldn't wait for her shift to be done!). Well, this was the perfect post...and I loved your description of what your American summers were all about, it doesn't get any better than that...Bubble Up and Red Vines rule! Thanks for the superb post!!! i love this post... the images are so powerful! Hi! Thanks for your comment today! Glad you found your way over to me and glad to be a follower of Dumbwit Teller! PS Love your post on Robert Downey Jr... He is a complete fox alright! AWESEOME POST!!!!!!!! Loved this and am going to forwardt to my parents, Pictures do tell a thousand stories and this post was fabulous! Wow, really interesting. Thank you so much for sharing! Gorgeous, gorgeous photos. Thank you so much for sharing his story and work. And thank you for commenting on my blog, too. ;) I'm so glad I found your blog through Mel! 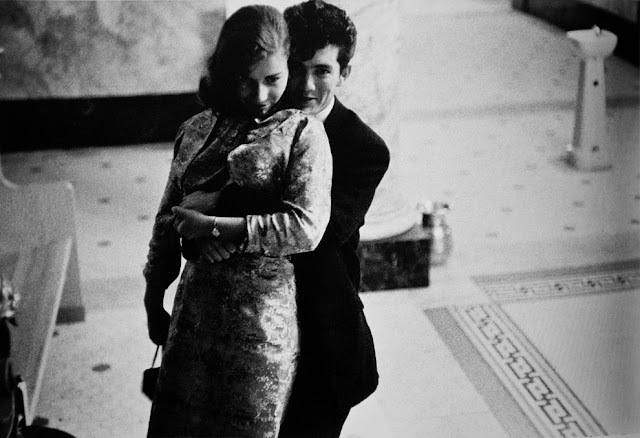 Robert Frank's photographs were stunningly brutal and beautiful all at the same time coupled with your gift of words, a perfect match. Thanks for this gritty and thought provoking blog. felt there. could smell,sense the hope, effort, bleakness, desire. really great post. thank you. love the end quote. 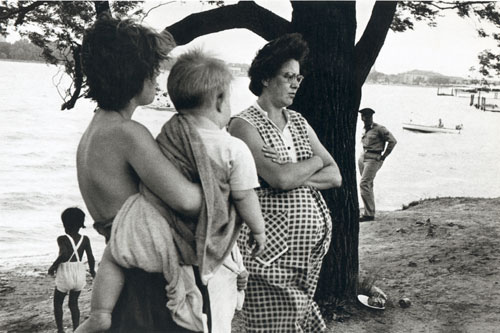 The people in his photographs look real --- not a fantasty of what we thought things were like back then. Some people are ahead of their time...and they don't even know it!! I maybe a little late to the party, but excellent post mom. As always, you teach me things I would have never known. Loved it! Great job! Deb Very compelling images,Frank was genius in this genre. The Black and white, perfection for the era. Wow, what a wonderful post Deb! I love these images, I love that they aren't shiny and pretty, but that they are non-posed and real and that makes them beautiful! Adore this post as much as I adore you! God Bless! Oh for heavens sakes, you just won the post of the year award. It has to have gone incredibly viral. I've got about 5 crazy deadlines, so remind me and I'll post a link on my FB page, or re-post it if you'll let me. Alert the media!! I'm not inclined to the usual hubris, so take it from the heart. My website has kept me in the working land of Absentia, as its kicking in. I wanted to give you a heads up: We are so excited to be included in HGTV's Freebie Friday blog giveaway tomorrow. We are giving away a cool Asian lacquer coffee or low side table in one of 5 color options, so come on by for a chance to win!! Its worth upwards of $500.00 so its our biggest yet. Give us a tweet or a thumbs up on our FB page! 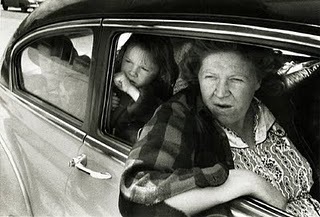 Wow, what incredible photography... seemed so ahead of his time and such interest and real beauty he captured. So glad you shared this and I hope you are having a fantastic week! where are you? are you okay? These are amazing! Thanks so much for sharing, I'd never heard of him. I love candid photography more than anything, a true glimpse into something real. Amazing to read just how paranoid 'the authorities' were then, and just how defensive people were when being faced with something so honest. These photographs are strangely moving in their beautiful honesty. Finally, I have time to catch up with my reading...This is such a beautiful heartfelt picture of America at its best. The true land of opportunity. Since my youngest years, I have been fascinated by America, the drive in movies, the movie stars, the landscapes,the diners,rock and roll. 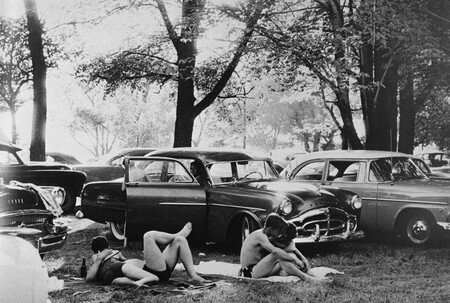 These amazing pictures are so evocative of time gone by. What incredible photographs. I think he achieved his goal as I did indeed want to take a second look! What a post. Stunnning and Robert Frank beautifully captures the American heart and vastness. Deb you know I am a 50's girl so love these images! I just had to come by and take another look. Hope you've been having a lovely summer! Love these photos - they're almost like a precursor of the modern streetstyle images everyone is so in love with (except with a more candid approach of course). This is a great post Debs - loved it, and the photos that you shared too! I came across your blog thru Morning T and I love it! This post on the Americans is wonderful! The photographs are astonishing. I am going to look for more of his photographs. Great post and I look forward to reading more of your blog! Those black and white photos are timeless, looks like they are from 1950s or earlier.